Also, VR version for Vive next year. Fallout 4 developer Bethesda announced a new expansion entitled Nuka World, due this August. Bethesda Game Studios development chief Todd Howard said Nuka World is the final Fallout 4 DLC, and is a major story-based add-on. At the publisher's press conference Bethesda also teased the Vault-Tec Workshop, allowing players to build their own vaults. That's due in July. And next week Fallout 4 contraptions will arrive, adding weapon and armour racks along with conveyor belts and other nifty things to build. Additionally, Bethesda revealed that a virtual reality version of Fallout 4 is in production, and coming to the HTC Vive platform in 2017. A demo will be shown at E3, alongside a demo of id Tech 5 running Doom in VR. Chris Avellone's next project is revealed. Industry veteran Chris Avellone is working on the just-announced new Prey. Avellone announced this in a tweet this evening after the game was revealed at Bethesda's E3 briefing. "They announced that game I'm working on hellllls yesssss #BE3," he wrote. It's unclear what exact position Avellone holds for Prey, however. Avellone has worked on numerous games in his time in the industry, including Fallout 2, Planescape Torment, Star Wars: Knights of the Old Republic II: The Sith Lords, Alpha Protocol, Fallout: New Vegas, Wasteland 2, and Pillars of Eternity. For those games, he held positions including level designer and creative director, among other things, according to his LinkedIn profile. He worked at Obsidian Entertainment as a creative director/chief creative officer for 12 years before leaving the company in May 2015. He is now a freelance writer. Developed at Arkane Studios' Austin office, Prey, which is set in 2032, promises to be a psychological thriller set in a dangerous universe. An E3 trailer showed main character Morgan in both a residential setting, presumably on Earth, as well as in an off-world location. The trailer implies that Morgan is a test subject in a psychological experiment featuring hostile environments. If you’ve played Fallout 4, you must have heard the name Marcy Long. She’s without a doubt, one of the most hated characters to have come up in the Fallout universe and by far the most frowned upon character in Fallout 4. However, being an essential character, up until now, fans weren’t able to kill her since the game doesn’t allow that, no matter how much torture players bestowed upon her. But all of that changes now with the release of Fallout 4’s latest patch. The patch finally allows players to kill Marcy Long since she’s been ticked off the list of essential characters after you complete “Sanctuary”. The patch also bought with it some other minor changes that you can view here. Although this might seem like a strange change but if you’ve been following the Fallout 4 community you will know that fans have long demanded they be able to kill this character as nothing would make them happier (in-game), and Bethesda just did a bit of fan service by allowing them to do so with the latest update. 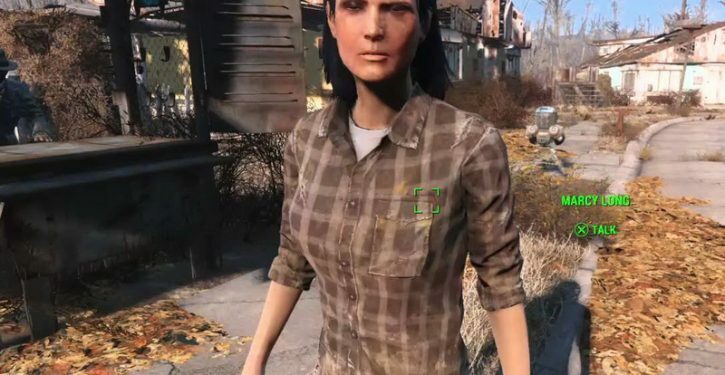 Players have already begun celebrating this change and Marcy Long has been murdered in as many innovative and gruesome ways as possible within the game. People over Reddit seem really excited about the prospect of being able to kill her. Things aren’t going to be good for Marcy moving forward and the whole community is sure to enjoy getting rid of her. The hatred for her has been strong ever since the game came out and now Bethesda itself have given their nod of approval. The surprise hit Fallout Shelter will bring its Vault building and Dweller management to Xbox One and Windows 10 PCs early next week. While Fallout is known for its epic landscape and immersive narrative, 2015’s Fallout Shelter brought the series’ survival elements down to the small screen on iOS and Android (and later, PC), with the title now headed over to Xbox One and Windows 10. In an update on Xbox Wire, developer Bethesda Softworks announced that Fallout Shelter will release for Xbox One and Windows 10 PCs on February 7th, 2017. The free-to-play title will be brought over to both platforms from its release on mobile and PC, while also featuring the added benefit of Xbox Play Anywhere compatibility, allowing users to switch between Xbox One and PC and carry over progress, save files, and more between both platforms seamlessly. Along with the added features of Xbox Play Anywhere, Fallout Shelter has also been “fully adapted” to work with the Xbox One controller, allowing Xbox One or PC players to play the title from the comfort of a controller. 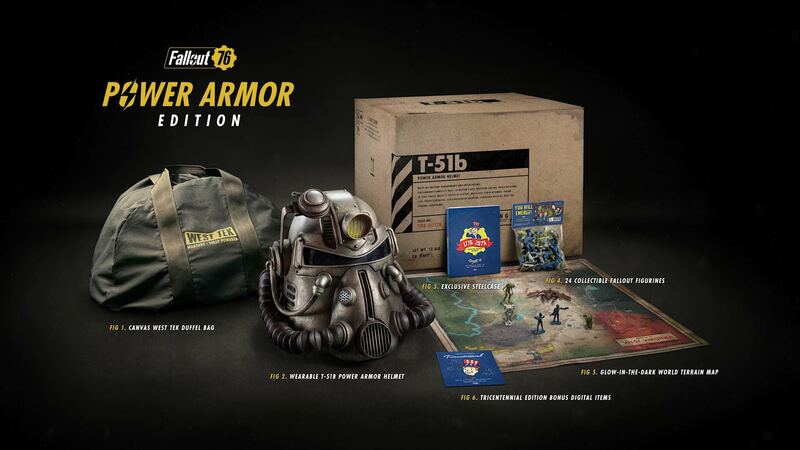 The game was originally announced and released during Bethesda’s first press conference at E3 2015, with the game bringing a smaller-scaled taste of the Fallout universe to players by allowing them to build and establish their own community of Vault Dwellers. Fallout Shelter is available now for PC, iOS, and Android, while the game is heading to Xbox One and Windows 10 PCs next week on February 7th, 2017. Those are some nice minimum specs. This is a bit of an outdated question but, who here has played Fallout 4? The only Fallout I've ever played it New Vegas and I absolutely loved it. I've heard 4 is a lot different than New Vegas though? So as someone who has only played New Vegas and really enjoyed it would you recommend I try Fallout 4? Is it pretty similar or is it radically different? I've finished New Vegas and played 150 hours of FO4. The game is really good and if you like NV you should like FO4. The main complaints people seem to have about FO4 are the simplified dialogue options, playing more like a shooter (when not using VATS) and having lighter RPG elements. There are mods that can fix those although they didn't bother me. It still feels pretty similar to FO3 & NV. The main storyline isn't as good although some the arcs with the different characters are good fun. Being able to build and add things to the different areas is cool. I made the mistake of playing New Vegas at launch and was so pissed off by the bugs and invisible walls I never played it again. I’ve always wanted to try picking it up again will all the patches and mods but never have. That story is ridiculous not just because of the harassment, but the insane process the guy had to go through to report it.